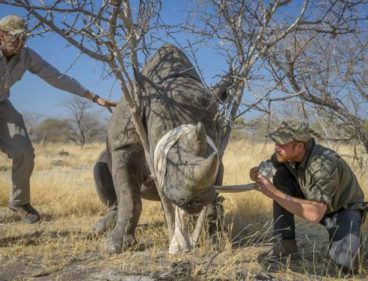 Prince Harry declared today his determination to lead the charge to save the African Rhino. Goooo Harry, our Prince of Conservation! The black rhino is critically endangered, thanks to poachers who supply the rhino horn trade. But with Harry and Botswana working together, their numbers are increasing. Big Heartfelt Kudos also go to the many animal welfare organizations around the world like Sheldrick Wildlife Trust, PAWS, and World Animal Protection (all mentioned in Pet-Friendly Francie! ), working to save all our endangered wildlife for future generations.